or App Store). Within the new simple interface, we’ve added lots of new features and functionalities, so I wanted to share some tips and tricks that can help you get the most out of your new Google Maps app. In addition to pinching the screen to zoom, you can also double-tap on your map, hold, and then scroll up and down to zoom in and out. *Currently only available on Android, but coming soon to iPhone and iPad. Search for a local business or something you’re craving, like “pizza”. If you’re on your phone, select one of the search results, and swipe up and down the info sheet to find more information about the place. Or, swipe left and right to see more places. If you’re on your tablet, just tap on one of your options to learn more about the place. 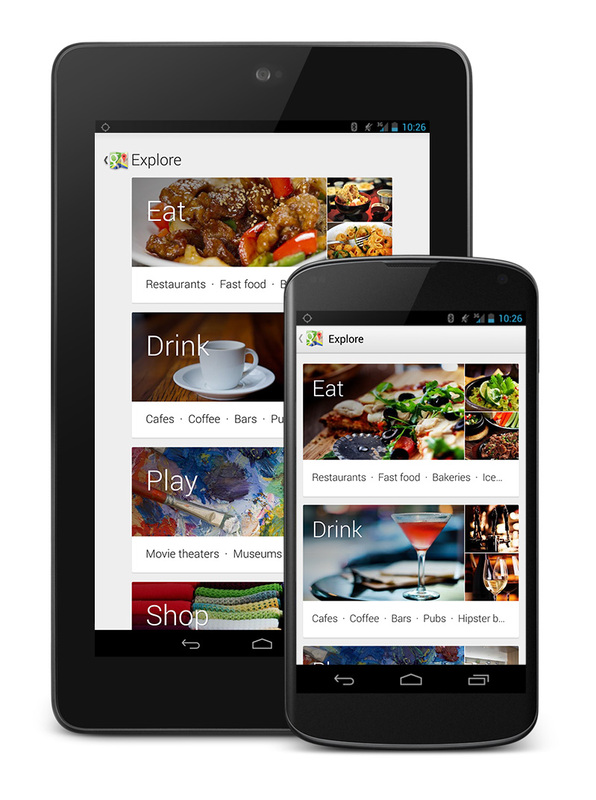 To find recommendations for hotels, restaurants, and things to do, just tap the search bar and then “Explore”. 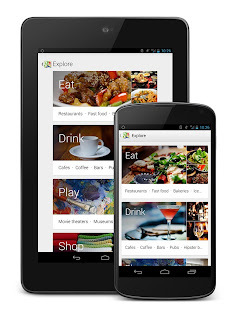 Browse suggestions by choosing a category: Eat, Drink, Shop, Play, or Sleep. Press and hold on the map to drop a pin. Then learn more information about that place, find directions, check out Street View, and save or share the location by text or email. Rating and reviewing a local business is easy. Just search for a business or restaurant, pull up its info sheet, and scroll down to the “Rate and Review” section. Tap the number of stars you think the restaurant deserves, write an optional review, and then tap “Publish”. 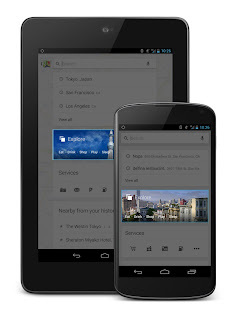 Just remember, you need to be signed into Google Maps and have a Google+ account to write a review. Check out more tips, and as you get more familiar with your Google Maps app, share your own tips using #googlemaps. Most of all, go out and explore your world! *Some features not available in all countries or on all devices. We hope you’ve had a chance to explore the new Google Maps app for Android, iPhone, and iPad (and if you haven’t, download it now from the Play Store or App Store). 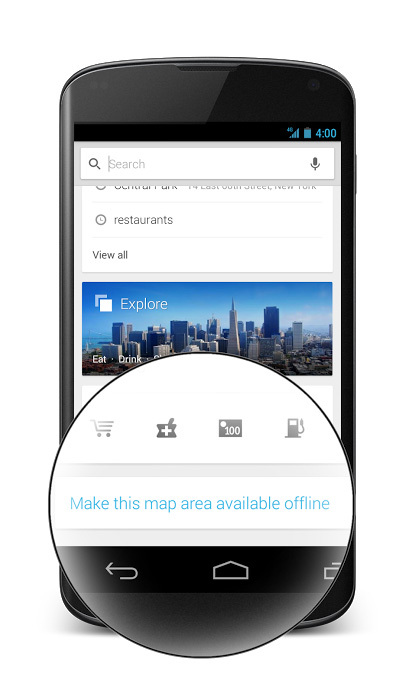 Within the new simple interface, we’ve added lots of new features and functionalities, so I wanted to share some tips and tricks that can help you get the most out of your new Google Maps app.